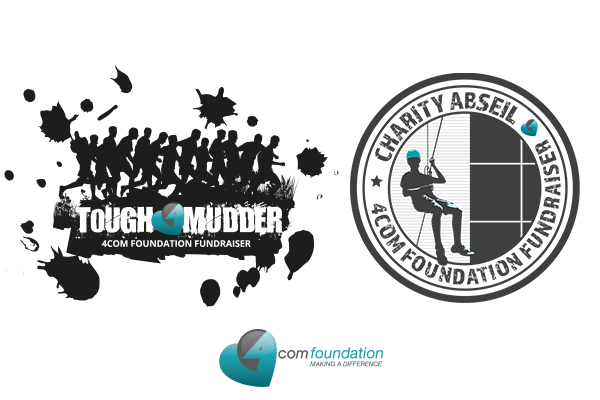 4Com are delighted to announce that The Dorset Children’s Foundation are their 2018 charity partner and will be the recipients of up to £30,000, which will be raised by 4Com staff through a variety of fundraising events. The Dorset-based charity, which was set up in 2013, provides support to local sick and disabled children by fundraising for medical expenses, mobility equipment and therapies which are currently not available on the NHS. They also provide children with life-enriching experiences and days out to help create a better quality of life for those they support. They submitted their application based on their “Portable Disabled Changing and Sensory Equipment Appeal”. This project is aiming to purchase two portable changing and toilet facilities, which can be used at their carnival and fundraising events. Currently, the many families that attend these have to look after their children’s needs on the floor of standard toilets, an environment which is undignified and lacks privacy. Purchasing these new changing facilities will provide a fully-accessible tent with a toilet, hoist, mats and table, which can be set up anywhere and gives parents the environment needed to look after their children properly. The charity is also looking to purchase two portable sensory tents with sensory equipment, which will help children with sensory impairments relax and take some “time-out” when attending these events. This will help to ensure that everyone can continue to enjoy their day out and gives parents the chance to quickly and easily relax their children when they need some time away from their surroundings. Patsy Hallmey, Founder of The Dorset Children’s Foundation, commented “We are absolutely delighted that 4Com have chosen us to be their charity partner. The chance to purchase this equipment will make a real difference to so many people in our community. If you would like to donate to our fundraising event, please click here for the JustGiving page.